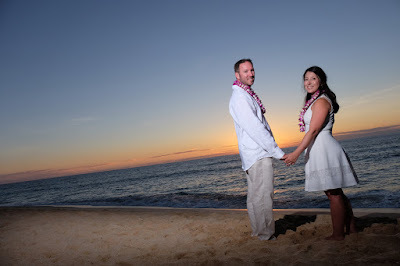 Beautiful sunset on North Shore Oahu. 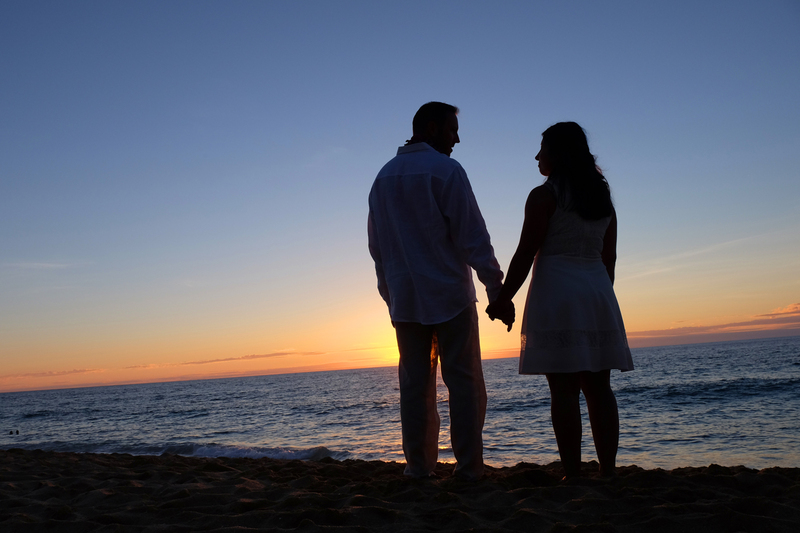 Lovely way to finish your day in Paradise! 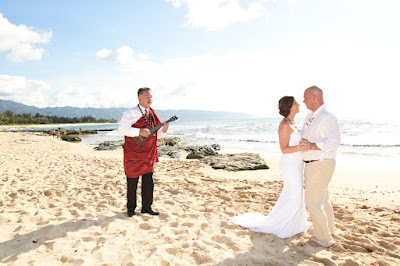 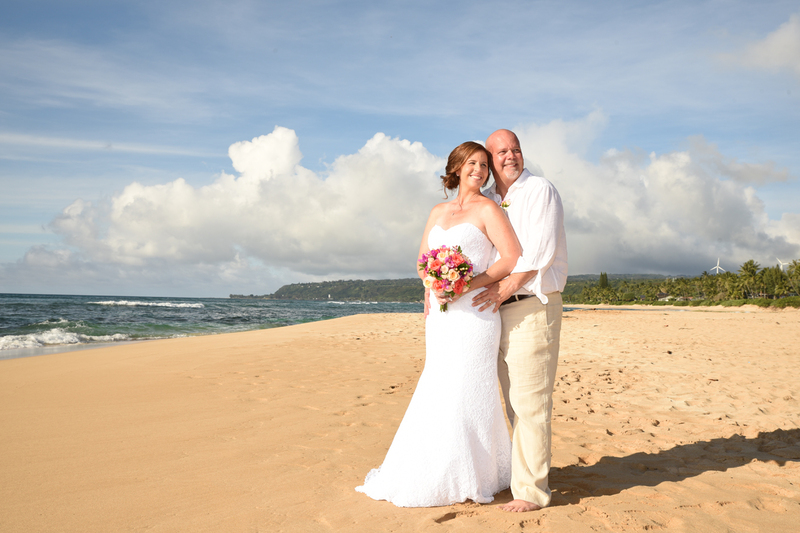 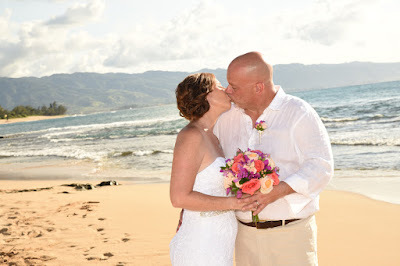 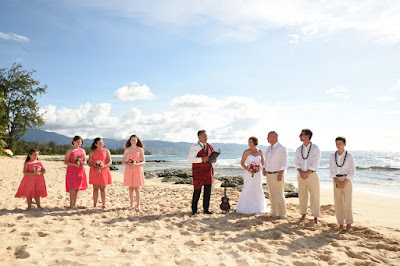 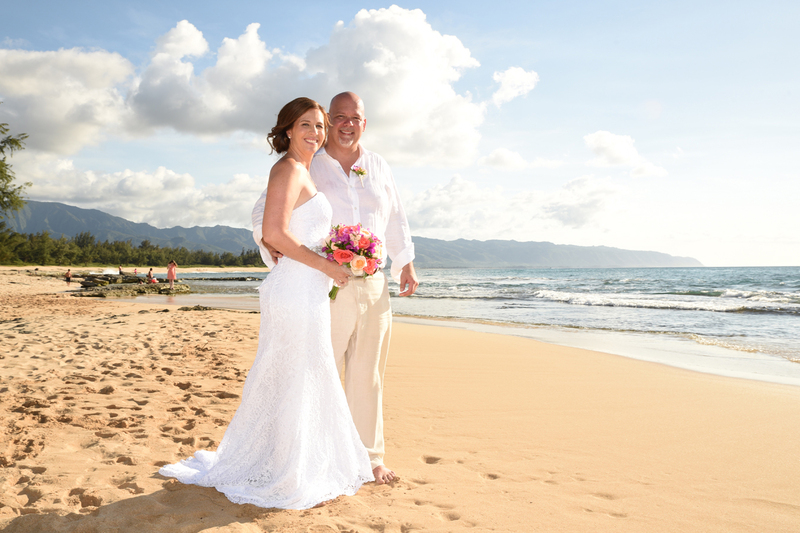 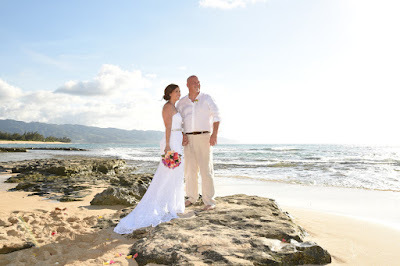 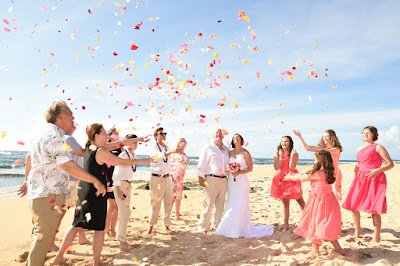 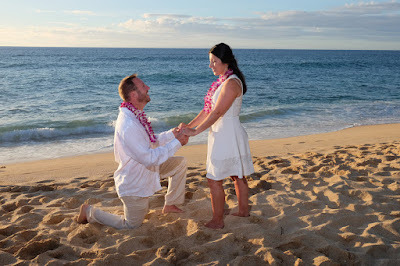 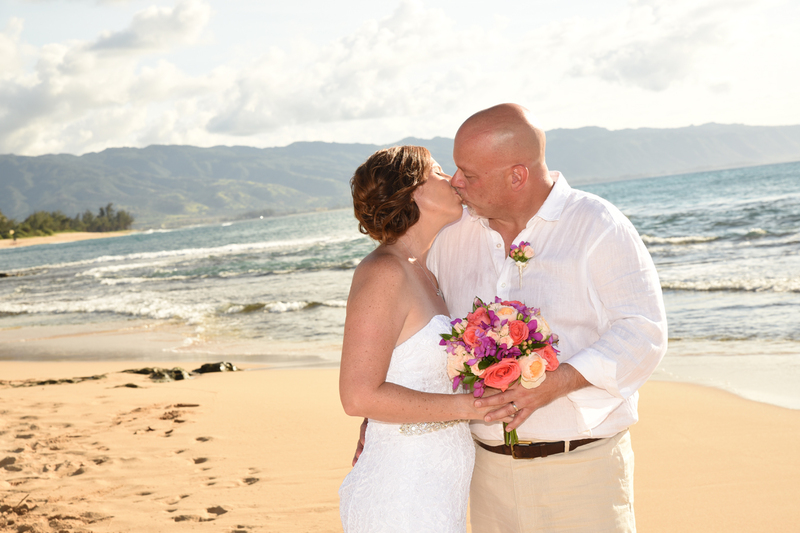 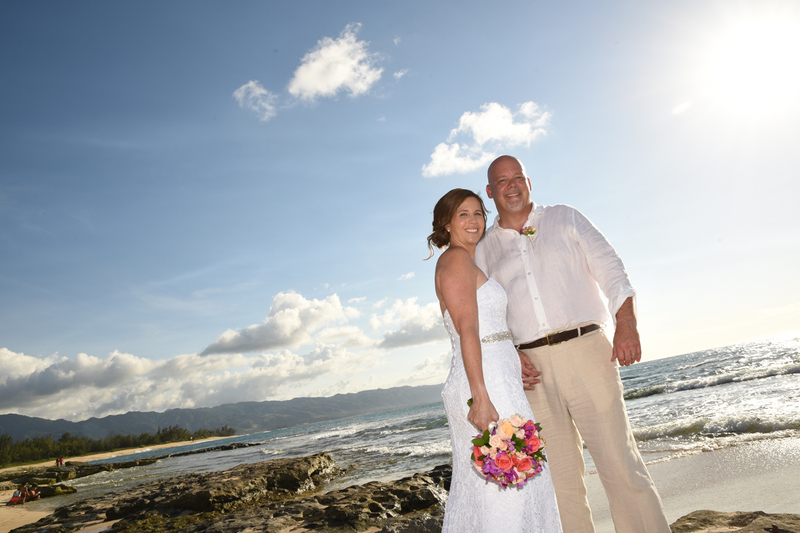 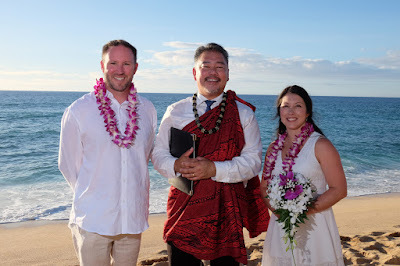 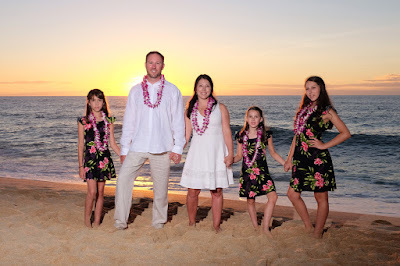 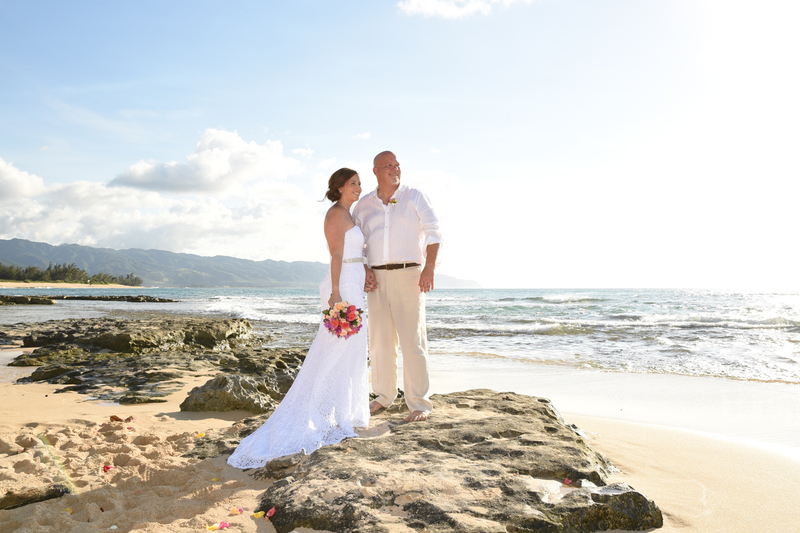 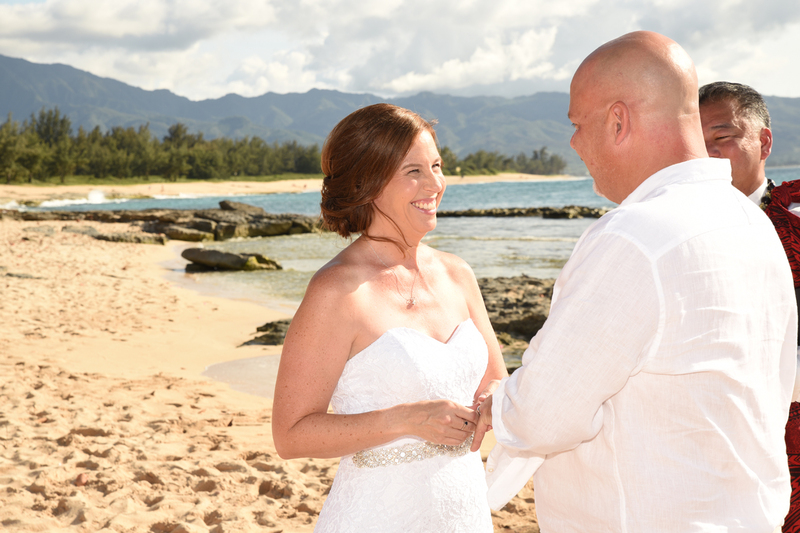 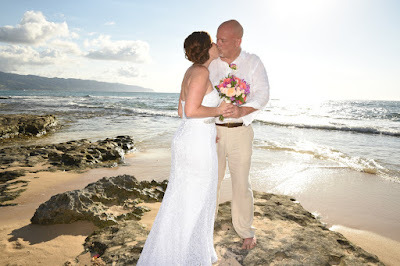 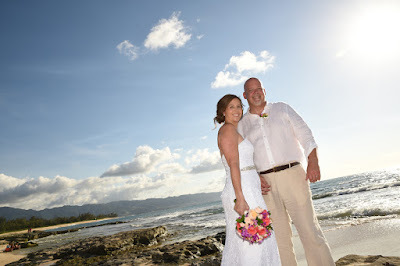 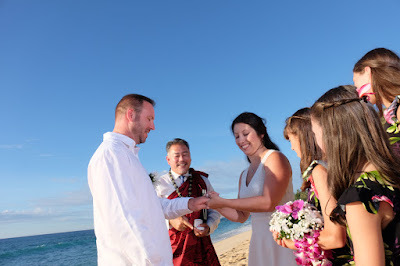 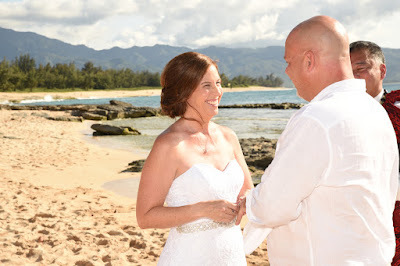 Eric and Danita celebrate their 20th wedding anniversary with a Vow Renewal at Ehukai Beach on North Shore Oahu. 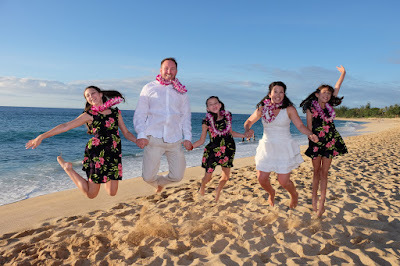 Three daughters get to watch and join the celebration. Wonderful backdrop for romantic wedding photos in Haleiwa, North Shore Oahu. 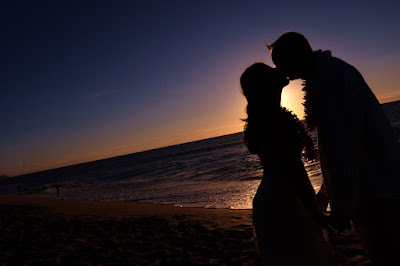 Professional Hawaii photography by Robert Hamilton.